Aliso Creek Dental can provide you with dental crowns if you are in need of a dental restoration. 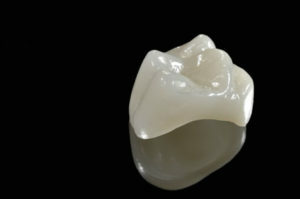 This is one of our most popular solutions because of how durable and long-lasting crowns are. They essentially surround a tooth like a cap, preventing anything from coming in direct contact with it. If your tooth has been severely damaged in an accident while playing sports, due to erosion, or from an infection, this is an ideal solution. Call (949) 204-3755 to schedule an appointment with Aliso Creek Dental in our Aliso Viejo dental office.